Featuring a wool body with the New York streetwear brand’s custom-patterned Aztec-inspired “Moztec” motif, this premium piece of outerwear comes complete with cowhide leather sleeves and striped ribbing at the cuffs, neck and bottom hem. 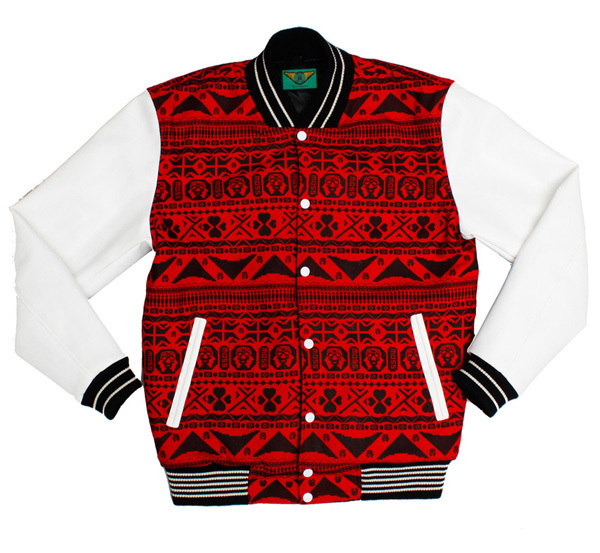 Presented here in red/white, the Moss “Moztec” Varsity Jacket is also available in red/black and can be pre-ordered for $225, with its actual release scheduled for September 15, 2012. Pair it up with their Olde English 800-Inspired “40oz Bottle” tee for extra kicks.